The Mirror’s Health Columnist Miriam Stoppard, suffers from dry eye and offers some tips on how to make it better. 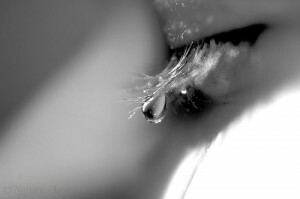 It’s all down to your tears, which are more complicated than you might think. Tears normally keep the eyes moist and comfortable and if there aren’t enough tears there’s not only discomfort, but also fluctuation in your vision and blepharitis (redness around the eye margins). It can be a sign of other health conditions like rheumatoid arthritis (Sjogren’s syndrome). Dry eye symptoms where the tear film breaks between blinking can also be due to blepharitis and low-grade inflammation. The tear film covering the eye comprises three layers. The middle layer is the watery layer, which keeps the surface of the eye moist, washing away debris, such as pollen, pollution, bacteria and viruses. This debris runs into the lacrimal drainage system at the inner corner of the eye and into the nose. The outer layer is oily and limits evaporation of the watery tears. Then there are two types of tears. Small glands in the conjunctiva produce watery tears and are stimulated by emotion, creating the tears that flow when we cry. Eyes that are dry feel gritty, itchy and sore. There may be a heavy feeling and “sleep” in the corner of the eye. Your eyes may be sensitive to light and it may be difficult to open them in the morning. Contact lenses may be difficult to wear and the eyes may be red due to surface irritation. The eyes may water in the wind due to surface irritation. These reflex tears are watery and don’t wet the surface well. Reduce or avoid contact lens wear or change to a contact lens made of a silicone material and eat lots of fatty fish, nuts and avocados to keep up your omega 3s. Even take an omega 3 supplement.